Sometimes, teachers do get the flu. And there you are, with a 102°F fever, trying to give last-minute lesson plans to the school secretary. To make a bad situation even worse, when you are a high school science teacher no one wants to substitute in your classes. But now, there is help for you! 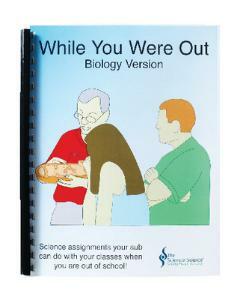 Each book has eight days of topic-specific, reproducible worksheets with answer keys that can be used by any substitute teacher in your science classroom. Spiralbound, 27 pages each.